Jaydeep Steels is known to be one of the primary producer and exporter of Stainless Steel Bars and Rods, worldwide. We make sure that we use the finest grade of stainless steel in the manufacturing of these products. They offer advantages like resistant to staining, low maintenance, and familiar luster. 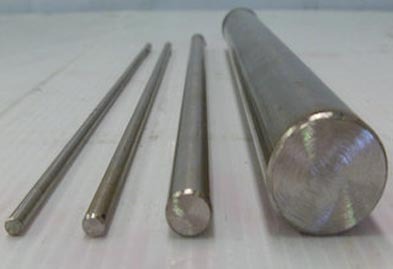 SS Round Bar & Rods produced by us, are used in numerous industries like the automotive industry, building and construction industry, and household products manufacturing. Jaydeep Steels is also involved in the manufacturing of SS Bars & Rods, that are available in Grades like 317L, 321H, 347H, 316Ti, 310, and are especially fit for structural applications that require strength, toughness, as well as excellent corrosion resistance. To cater to the varying needs of customers, we make our bars and rods available in shapes like round, square, rectangular, and hexagonal and many more. Furthermore, they are also available in forms like Hot Rolled, Cold Rolled, and Annealed etc. We make use of open die forging method for producing high-quality Stainless Steel Forged Bars & Rods. Our steel bars have the advantage of exhibiting greater strength even at elevated temperature. 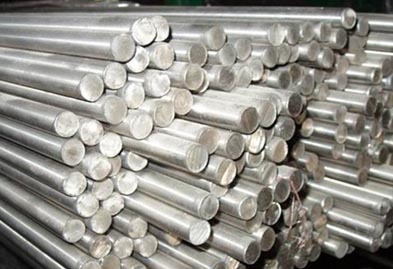 Our Stainless Steel Bright Bars & Rods are widely used for various purposes like seal rings, bellows, honeycombs, and more. We always make sure that we adhere to the various important quality standards while manufacturing our products. Our Stainless Steel Threaded Bars are produced by thread rolling method, under the guidance of our expert technicians. Stainless Steel Black Bars are manufactured from the finest quality of stainless steel metal, and usually, exhibits features like non-magnetism but become somewhat magnetic by the cold working process. Contact us today or email us your specific requirement, we are here to give the excellent product at very reasonable prices! Hurry up! ASTM / ASME SA 479 TP 304, 304L, 304H, 309S, 309H, 310S, 310H, 316, 316H, 316L, 316TI, 317, 321, 321H, 347, 347H, 410, 430, 431 & 444. Jaydeep Steels stocks a wide range of materials and grades. Below are a list of all standard stainless steel bars and rods materials and grades we stock. Our experienced team of metal experts will get you the metal you need when you need it. Call us today for your Stainless Steel Bars & Rods Needs!